· Previous and ongoing field work in the eight departments and seven ecoregions. This has a dual purpose of obtaining data to aid in characterizing which bryophytes are found in a particular vegetation type, and selecting areas within a particular vegetation type that are unexplored or that have been inadequately sampled. 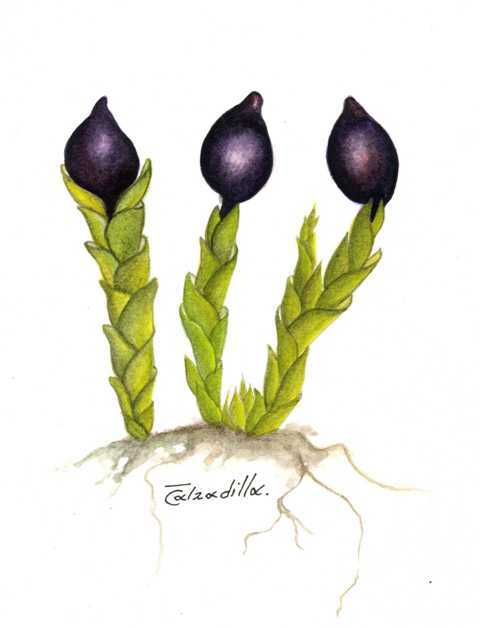 · Data base containing more than 27,000 collections in the Missouri Botanical Garden Tropicos system (prior to the year 2001 there were about 1100 collections in Tropicos). · Project page for all taxa. 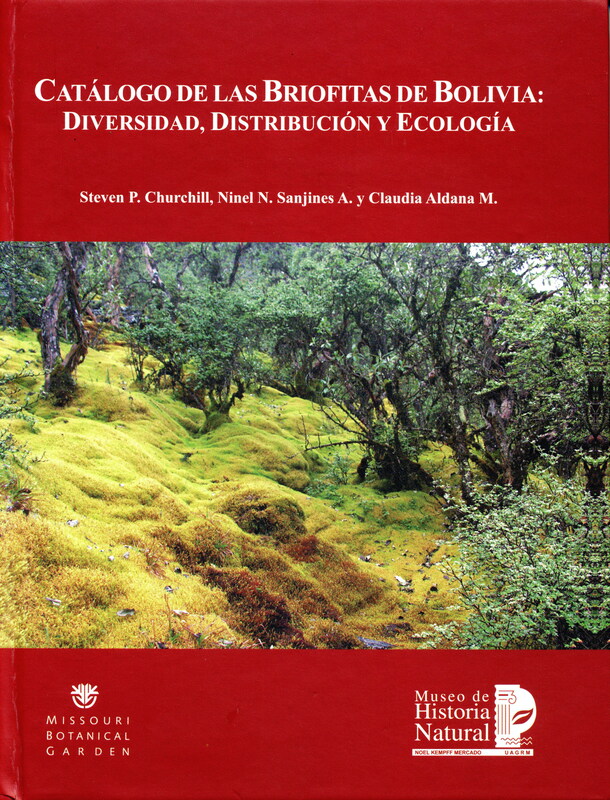 Moss treatments have descriptions, commentary and keys for most families and genera now in both English and Spanish; hepatic treatment is still in preparation; for each species of moss and hepatic there is a specimen list, map, images [more than 2700, Andean and Bolivia project pages combined], ecological and morphological data. · Links to the collectors and literature. All information found on the project page is continuously updated, with additional specimens, text, images and corrections. Political map of Bolivia. Courtesy of FAN (Fundación Amigos de la Naturaleza) of Santa Cruz, Bolivia. 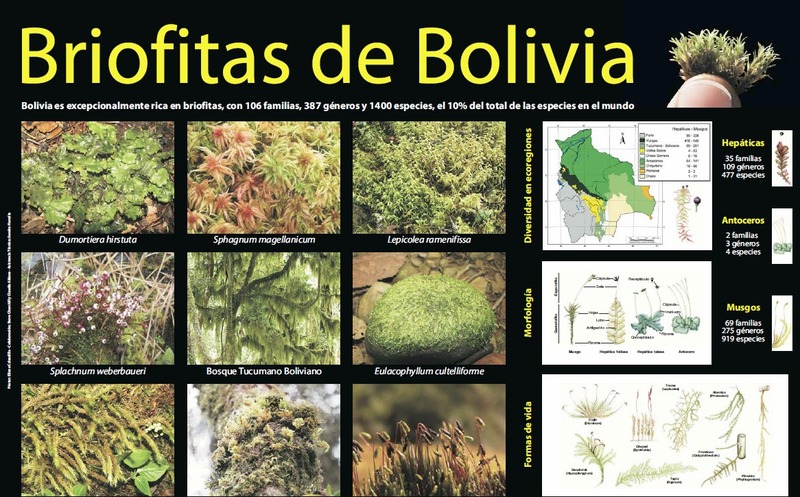 Upper left side panel: Find a taxon by typing the name in Name Search or select Families or Generic List; Herzog Biography provides a short account of one of Bolivia’s foremost historical figures; Ecoregions reviews the seven basic vegetation zones with select images and taxon list; Collectors provides a list of all known individuals who have collected bryophytes in Bolivia; Literature provides a list of publications related to Bolivian bryophytes; Catálogo de las Briofitas is a pdf file of our bryophyte publication (2009) divided into six parts. Upper right: Choose Project - you can move from the Bolivian to the Andean Bryophyte project; select Spanish for About (Introduction Page), Herzog and Ecoregions. 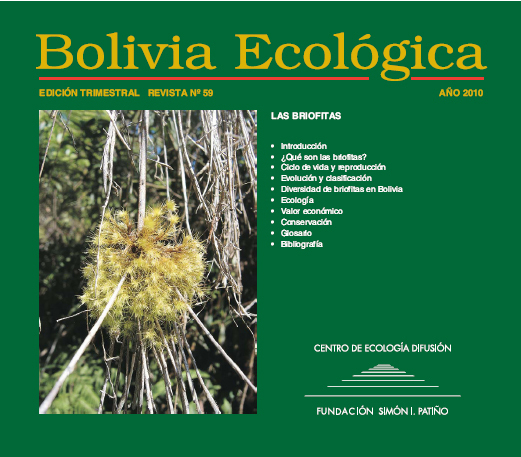 Many individuals and institutions have provided support directly or indirectly to the Bolivian bryophyte project over last 10 years. 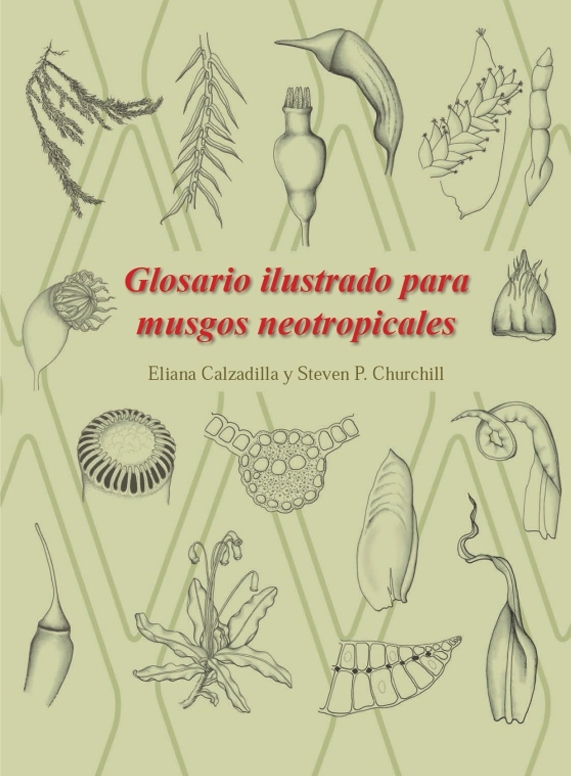 In Bolivia collections have been contributed by C. Aldana (LPB), O. Apaza (HSB), A. Araujo-Murakami (USZ), L. Arroyo (USZ), H. Cabrera (LPB), E. Calzadilla (USZ), S. Carreño (USZ), J.C. Catari (USZ), L. Cayola (LPB), O. Colque (USZ), M. Decker (BOLV), A. Fuentes (USZ, LPB), J. Gutiérrez (HSB), H. Huaylla (HSB), Y. Inturias (USZ), I. Jiménez (LPB), C. Jordán (†, USZ), I. Linneo (USZ), A. Lliully (HSB), R. Lozano (HSB), C. Maldonado (LPB), M. Mendoza (USZ), F. Mogro (BOLV), M. Muñoz (USZ), D. Rocabado (USZ), N. Sanjines (LPB), M. Serrano (HSB), I. Vargas (USZ), J. Villalobos (HSB), D. Villarroel (USZ). 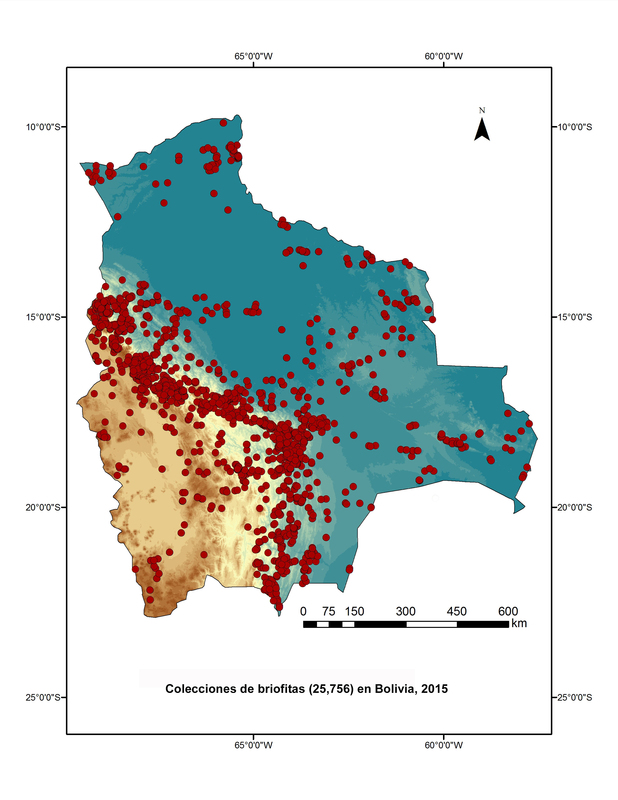 Institution support has been provided by BOLV (Cochabamba), HSB (Sucre), LPB (La Paz) and USZ (Santa Cruz). A special thanks to Chiqui Arroyo for administrative assistance during the entire course of the project in Bolivia. The following specialists have given time and effort in providing specimen determinations or verifications: W.R. Buck (NY), G. Calabrese (MA), M. Cano (MUB), D. Costa (RB), C. Delgadillo (MEXU), M. Gallego (MUB), S.R. Gradstein (PC), L. Hedenãs (S), J. Heinrichs (GOET), R. Ireland (MO and US), J. Jiménez (MUB), J. Larrain, J. Muñoz (MA), M. Price (G), R. Pursell (†, PAC), W.D. Reese (†, LAF), M.E. Reiner-Drehwald (GOET), A. Schäfer-Verwimp, J. Váňa (PRC), T. Vaz-Imbassahy (BR), K. Yamada (NICH), Y. Yuzawa (NICH), R. Zander (MO). Map of the montane forest (Yungas and Tucuman-Bolivian) represented by the species Plagiomnium rhynchophorum. The Missouri Botanical Garden has provided base support throughout the project; MO personal acknowledged include B. Allen J. Atwood, B. Bassuner, E. Feltz, R. Magill and O.M. Montiel. Special thanks to Bob Magill for his support with Tropicos and project page, and to Olga Martha Montiel for continuous encouragement. 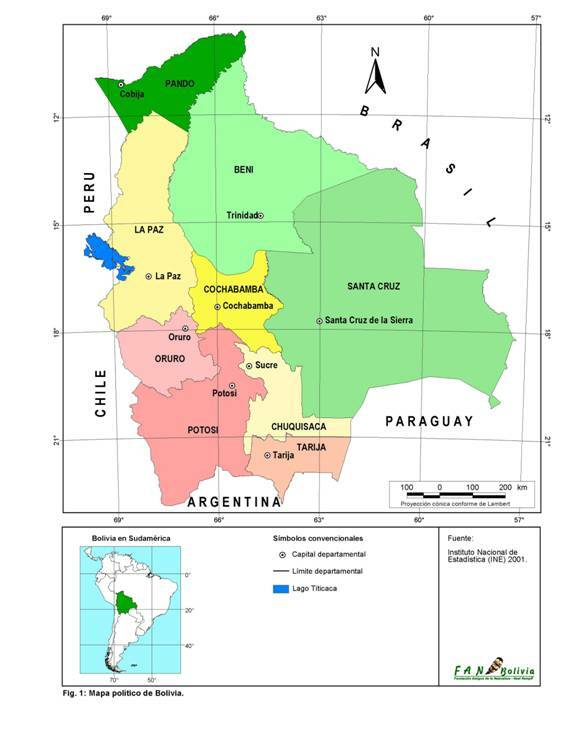 The political map of Bolivia has been provided with permission of FAN (Fundación Amigos de la Naturaleza) of Santa Cruz de la Sierra, Bolivia. 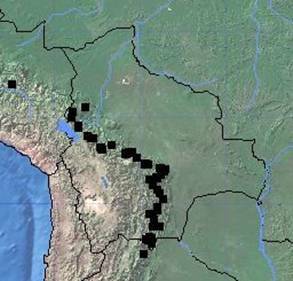 The project, Mosses of Bolivia, is funded by grants from the National Science Foundation (DEB-0542422, DEB-1051545); a previous grant (DEB-9626747) also assisted with limited fieldwork and infrastructural development for Bolivian institutions (BOLV, HSB, LPB, USZ). Small support grants have been provided by the Taylor Fund for Ecological Research, Missouri Botanical Garden for Bolivia. Collaborators: Maria Cano (MUB), Mayte Gallego (MUB), Juan Jimenez (MUB). Project Illustrator and Graphics: Eliana Calzadilla (USZ).